There are many pieces to becoming an Audiologist. Use the navigation below to explore each aspect of preparing to become an Audiologist. Obtain a Bachelor's degree: Must complete a four-year college degree and take necessary prerequisites (4+ years). 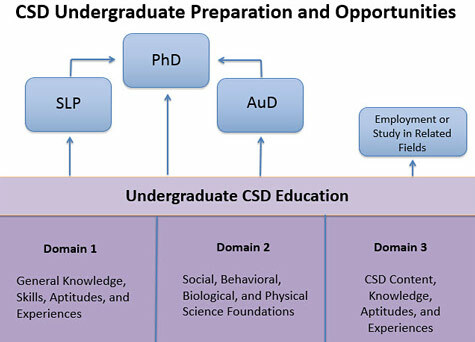 An undergraduate degree in CSD is the most common pathway into audiology and speech-language pathology graduate programs but is not required. Individuals with undergraduate degrees in other majors may be required to complete prerequisite coursework. Visit EdFind for more information. Pass a Certification Exam: In order to be eligible to apply for ASHA certification in audiology (i.e., Certificate of Clinical Competence in Audiology [CCC-A]), the student must graduate from a program that is accredited by the Council of Academic Programs in Audiology and Speech-Language Pathology (CAA).